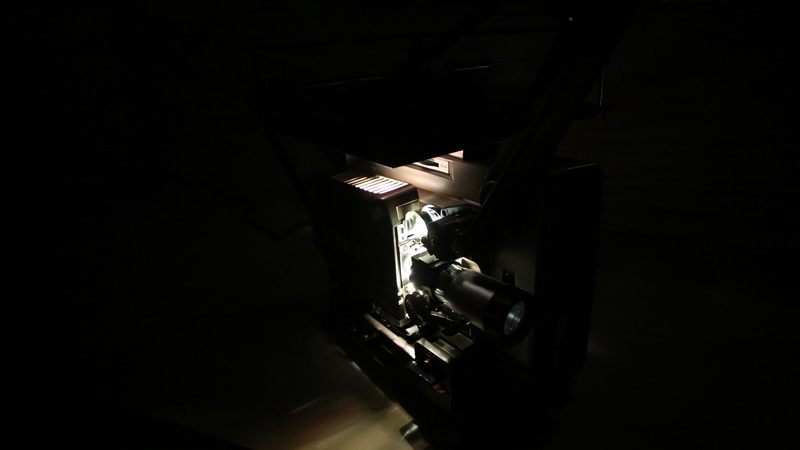 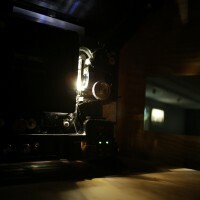 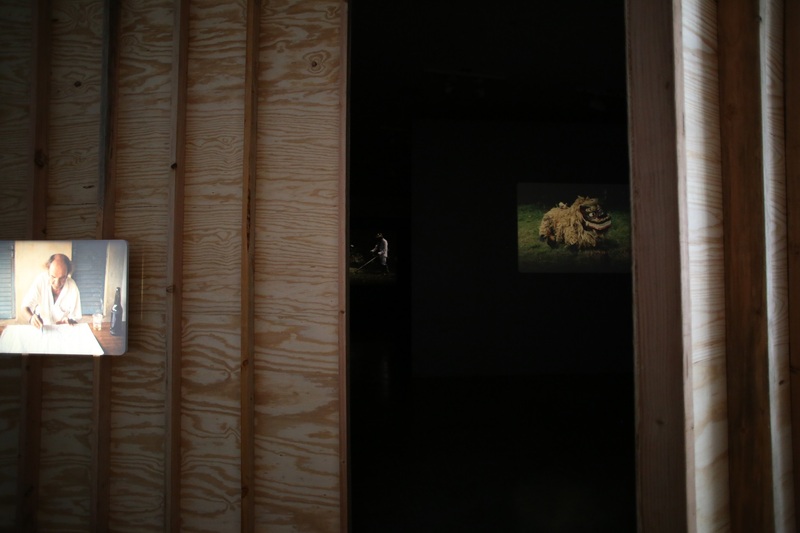 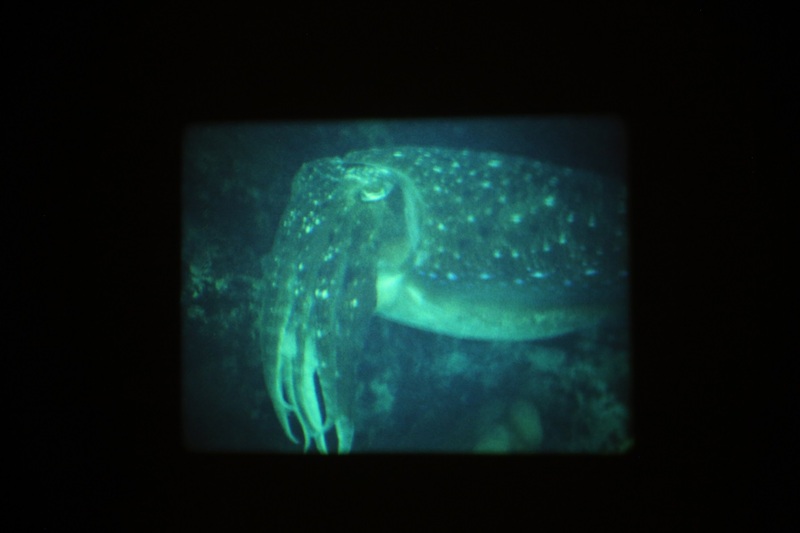 The Gallery at REDCAT presents the commissioned exhibition One month without filming, a multi-projector 16mm film installation by artists João Maria Gusmão and Pedro Paiva. 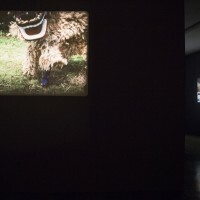 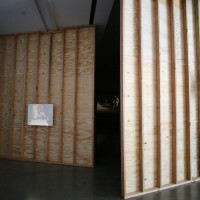 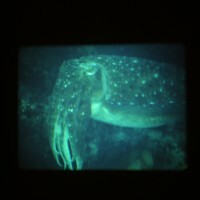 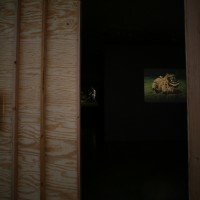 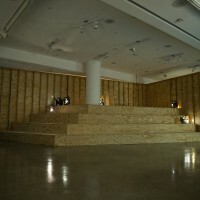 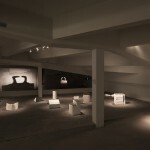 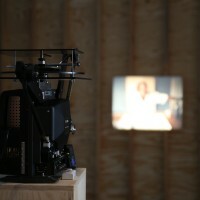 The work of Portuguese artists João Maria Gusmão and Pedro Paiva, who have worked collaboratively since 2001, is characterized by the use of silent films and other analog forms of expression to portray poetic-philosophical narratives suspended in an indeterminate zone between reality and artifice. 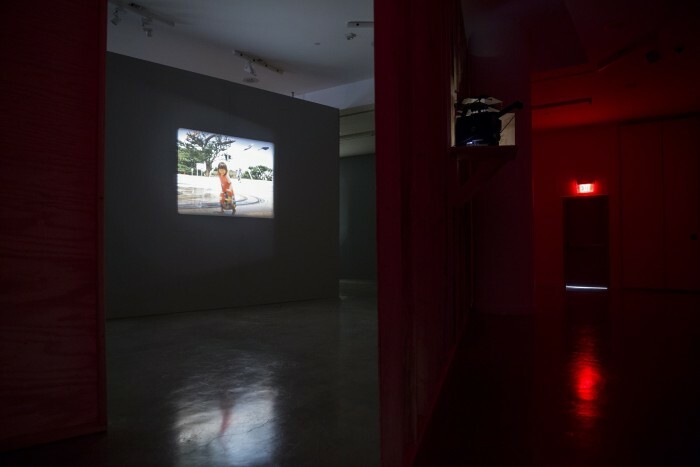 For the first major exhibition by the duo in Los Angeles, newly commissioned films are juxtaposed with past works to create a conceptual narrative and provide a larger glimpse at the duo’s extended practice. 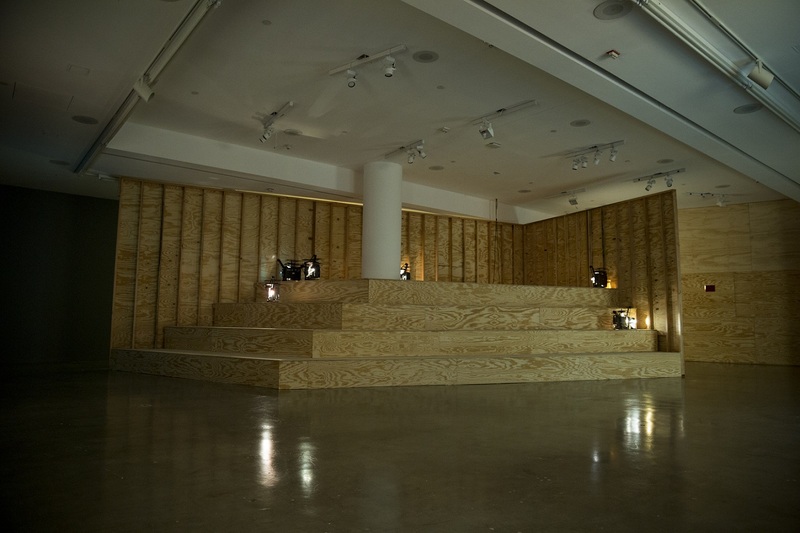 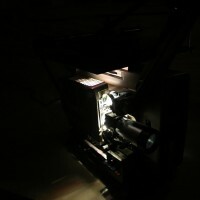 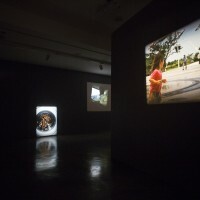 The gallery space becomes a film installation, in which several 16 mm projectors run simultaneously to create a ‘floating’ composition of images in motion. 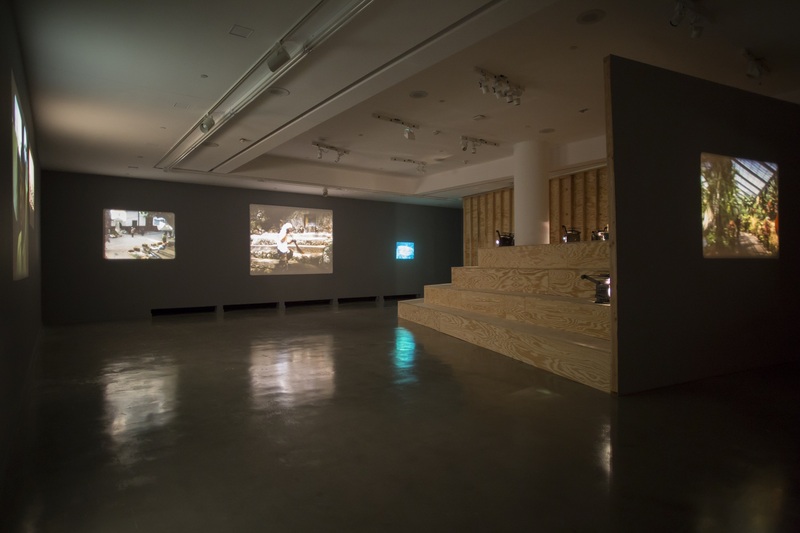 Shown in a continuous loop, the silent films invite the viewer’s close attention in order to discern the precise subjects depicted, because the images are diffused by the nuanced light and time-altered imagery, raising questions about the veracity of the filmed scenes. 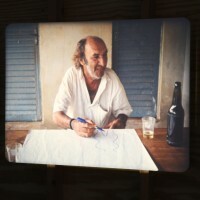 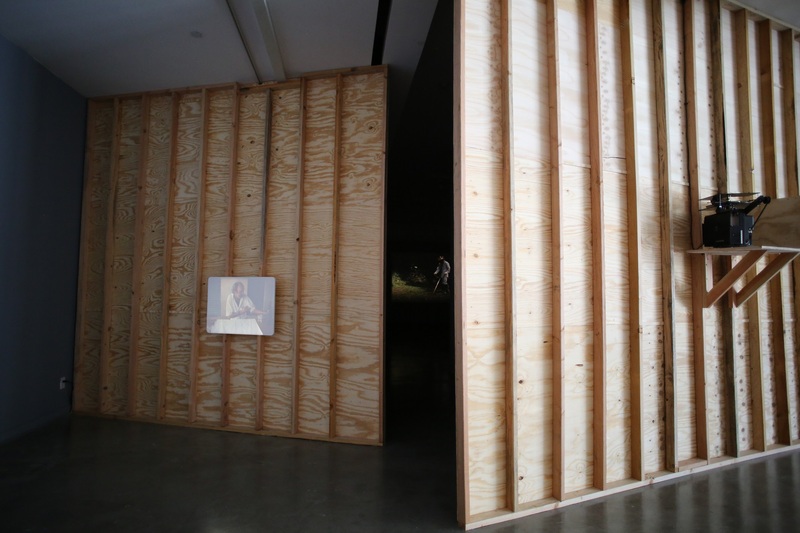 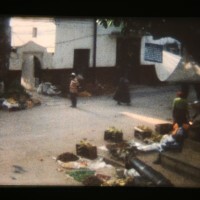 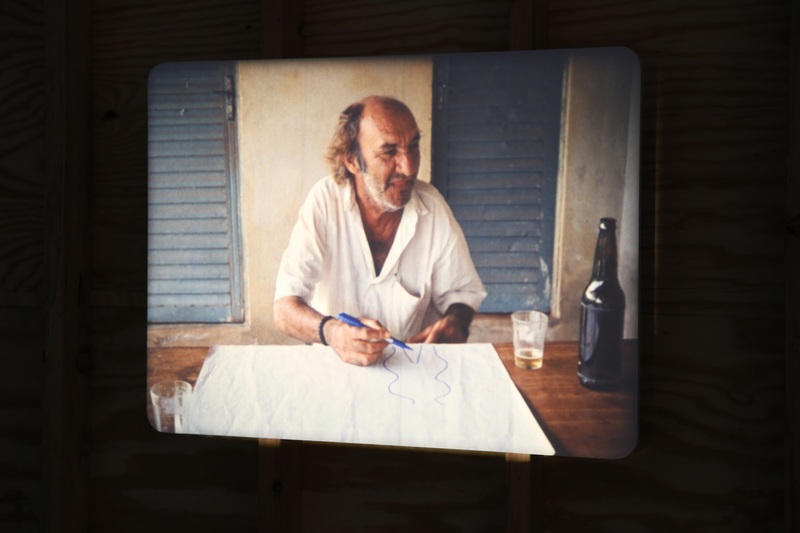 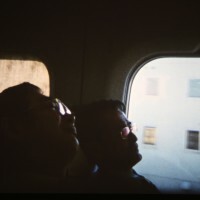 The work of João Maria Gusmão and Pedro Paiva is often developed through research travel to a variety of destinations around the world, allowing the artists to investigate enigmatic scenarios and landscapes and discover anecdotes and stories, which they incorporate into their writing and film practice. 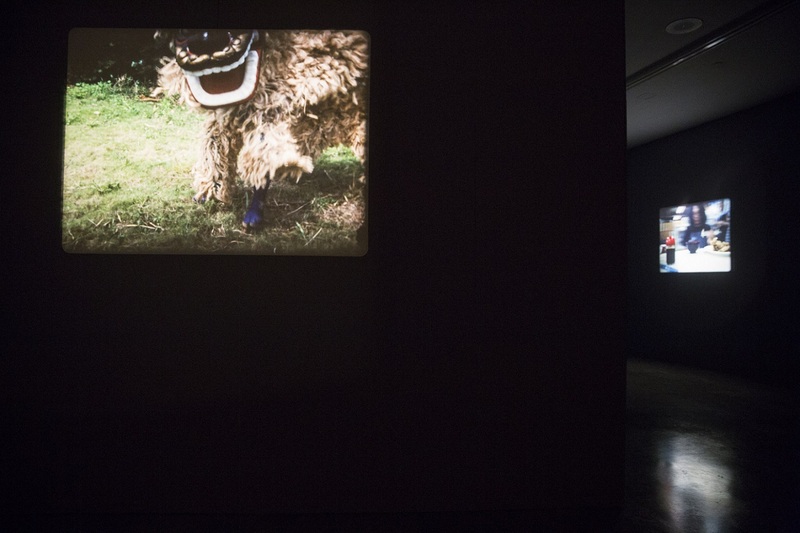 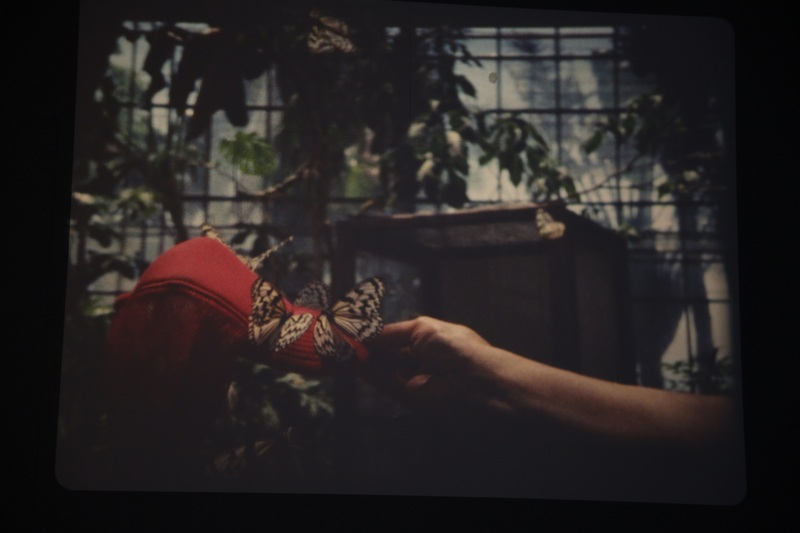 For the new exhibition at REDCAT, Gusmão and Paiva travelled to Japan to produce a new body of films that approach centuries-old ceremonies that overlap with daily life objects and rituals. 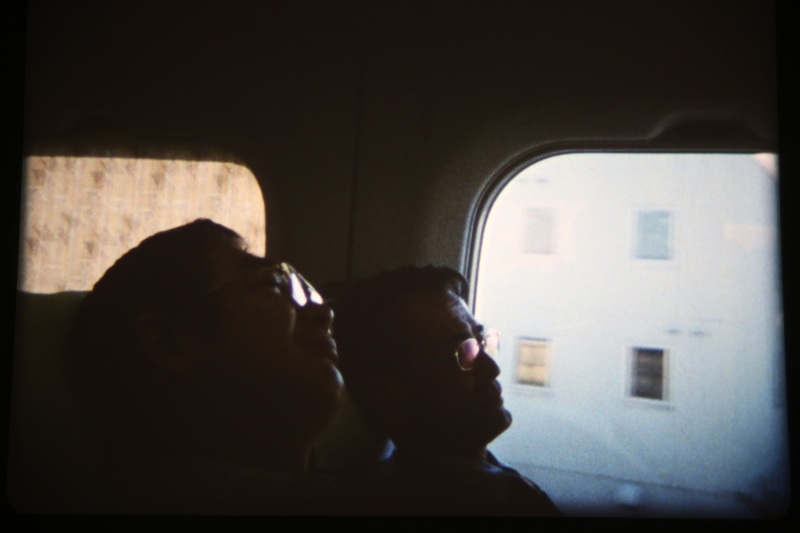 For instance, Sleeping in a bullet train (2014-15) shows a group of workers resting in one of the fastest commuter trains in the world. 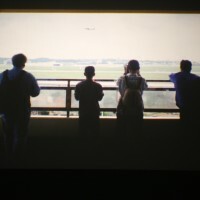 This quotidian situation, filmed in slow motion, creates a prolonged moment where the slumbering minds of the sleepers are paradoxically framed with the velocity of the express train. 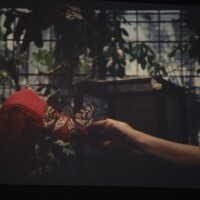 Cleaning Marty’s family graveyard (2015) depicts the slow motion cleaning of a garden adjacent to a little altar holding ashes of the deceased. 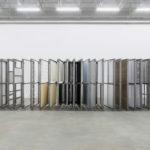 The nearly imperceptible movement of the cleaners is a metaphor for a spiritual process, where the mundane and sacred come together in the same frequency. 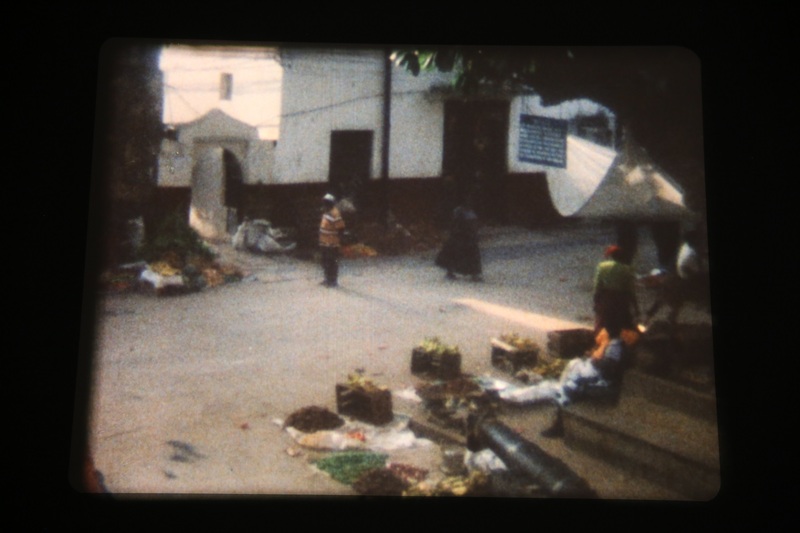 In all of the films, indistinct and ordinary situations or methodic rituals are frozen in an ongoing but impossible movement. 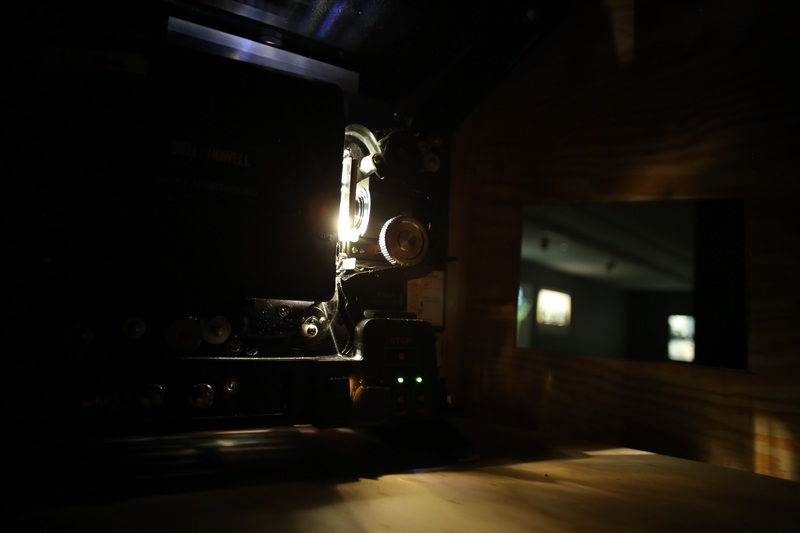 As subtle background, the ghostly shadows behind their filmography bring to mind the unresolved problem of the mind/body divide – the antithesis of the outer and the inner; the material and the intangible. 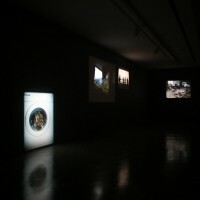 These acts are further filtered by the technological device of the camera, exploring the time-space dichotomy associated with the mind/body dilemma. 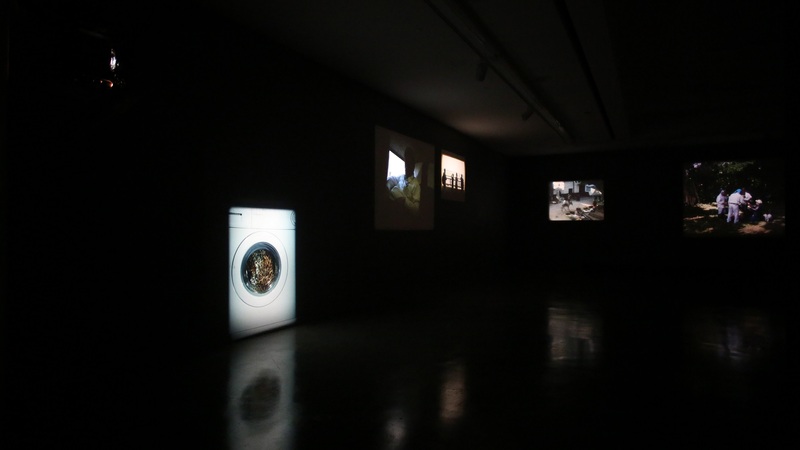 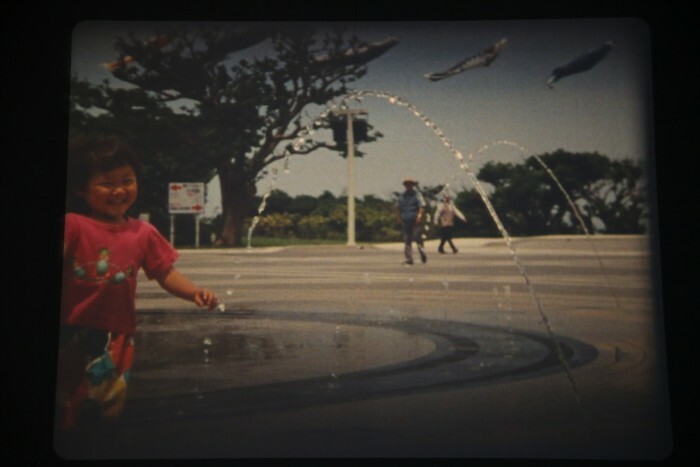 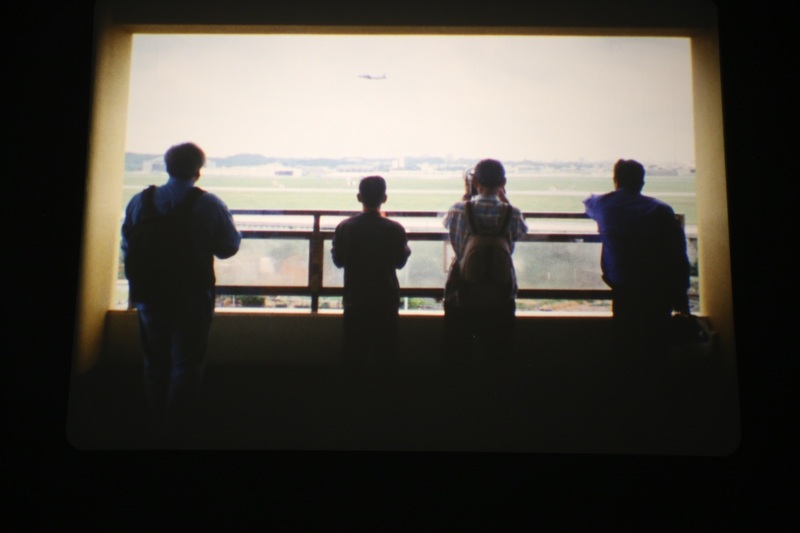 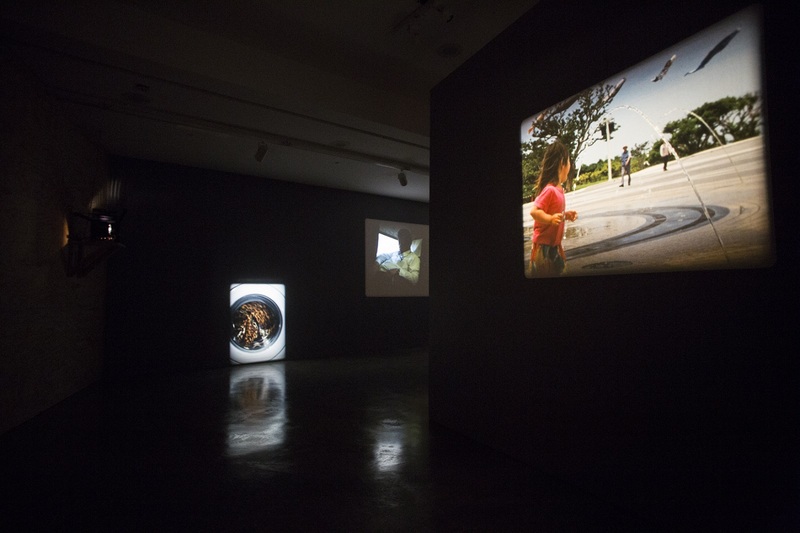 One day without filming in Naha City (2015) is one of the most eloquent and cryptic of the works in the exhibition. 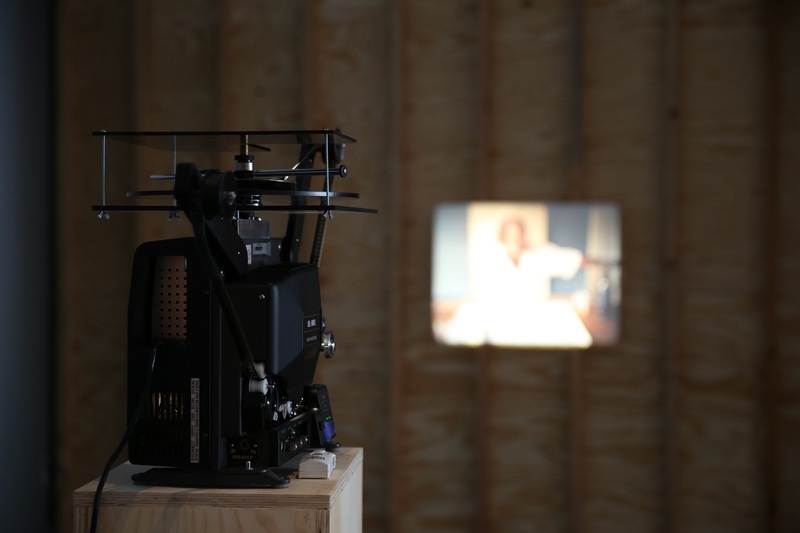 The camera is attached to a vehicle that slowly moves into an automated parking garage. 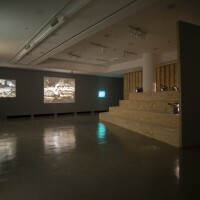 The machine transports the car from the daylight to the most absolute darkness, where image, sound and the consequent movements appear only as an abstraction to the observer. 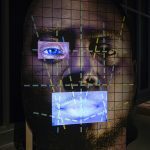 The repetitive and automatic movement is intertwined with the desire of the mind to understand its position within this framework, without knowing what is inside what, who interrogates whom, or whether these positions are plural or parts of a single entity. 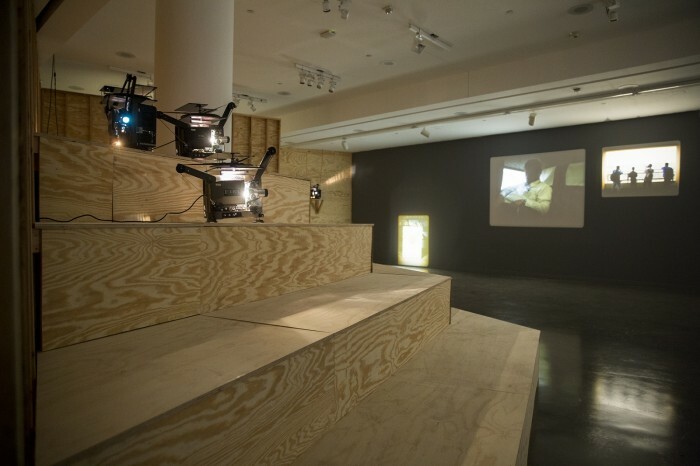 In the same constructed darkness, deprived of sound and with only the analog noise of the projector itself, the REDCAT gallery becomes the representation of a mental interior device that produces meaning in scattered fragments.